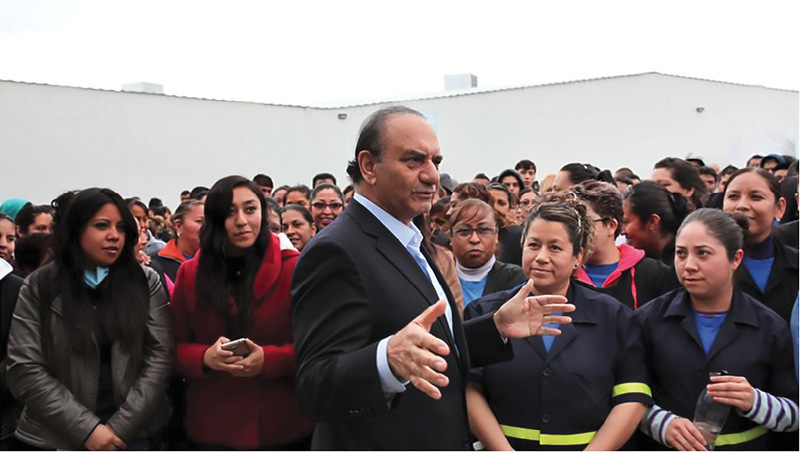 LEADERS Interview with Farooq Kathwari, Chairman, President, and Chief Executive Officer, Ethan Allen Interiors Inc.
An Interview with Farooq Kathwari, Chairman, President, and Chief Executive Officer, Ethan Allen Interiors Inc.
Farooq Kathwari has held his current post since 1988. He also serves as Chairman Emeritus of Refugees International. He founded and chairs the Kashmir Study Group and also served as a member of President Obama’s Advisory Commission on Asian Americans and Pacific Islanders from 2010 to 2014. Kathwari has received several recognitions, including being inducted into the American Furniture Hall of Fame; the National Human Relations Award from the American Jewish Committee; the National Retail Federation gold medal; and Ernst & Young’s Entrepreneur of the Year award. He was also recognized by Worth magazine as one of the 50 Best CEOs in the United States. He received a B.A. in English Literature and Political Science from Kashmir University, Srinagar, Kashmir and an M.B.A. in International Marketing from New York University. He has also received three honorary doctorates. Ethan Allen Interiors Inc. (ethanallen.com) is a leading interior design company, and manufacturer and retailer of quality home furnishings. The company offers free interior design service to its clients and sells a full range of furniture products and decorative accessories through their website and a network of approximately 300 design centers in the United States and abroad. Ethan Allen owns and operates nine manufacturing facilities including six plants and one sawmill in the United States, plus a plant in Mexico and one in Honduras. Approximately 70 percent of its products are made in its North American plants. Would you touch on the importance of employee engagement as part of the history and heritage of Ethan Allen? It starts with the engagement of our own associates in the diverse communities where we do business. We are a vertically integrated enterprise with over 250 locations representing retail design centers, logistics, and manufacturing in North America. We have major workshops in Vermont, North Carolina, New Jersey, Mexico, and Honduras. We also have over 100 retail design centers outside North America and we work with craftspeople all over the world. 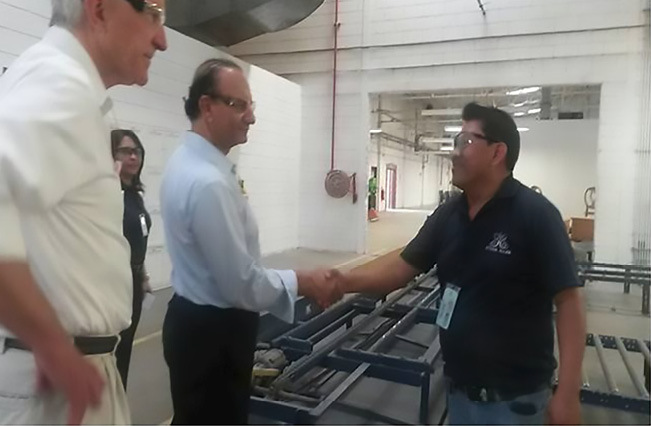 Over the past 35-plus years, I have spent a great deal of time visiting our associates in North America and overseas, greeting them personally, and emphasizing the need to treat them fairly. When I see our associates, shake their hands, and look into their eyes, they are no longer numbers but human beings with aspirations and needs. It is my responsibility to set the tone of how we must treat our associates and be an integral part of the communities. In some areas where we have manufacturing facilities, we are the largest employer in the area, and we take that responsibility very seriously. By taking care of our associates, we end up having greater quality and very low turnover, and it’s good for profitability. What areas does Ethan Allen support through its corporate social responsibility efforts? First and foremost, Ethan Allen supports environmentalism because it’s good for our associates, our communities, and our business. “Green” isn’t a buzzword here; it’s ingrained in our business model, and is something we take pride in locally and globally. I am proud of the fact that we have received numerous awards and recognition from various agencies and states regarding our work. For example, to protect air quality in our plants and in our clients’ homes, we use only low-HAP/low-VOC coatings, including some water-soluble finishes, on our products. We have also established practices to continually evaluate and reduce the presence of toxic chemicals in our processes, and we eliminated the use of heavy metals and HCFCs in our packaging. In our mattresses and custom upholstery, we use only CertiPUR-US® certified foams – low-VOC polyurethanes that are made without formaldehyde, mercury, lead, heavy metals, PBDEs, ozone depleters, or prohibited phthalates. Ethan Allen also supports a wide array of charities, some through corporate giving and others through the volunteerism and dedication of our associates in our Design Centers across the country who participate in designer show houses and fundraisers that benefit local shelters, hospitals, and other community-based service organizations. Would you elaborate on Ethan Allen’s current efforts with City of Hope? One of the cancer program’s biggest supporters at the City of Hope National Medical Center for the past 50 years and counting is City of Hope’s International Home Furnishings Industry, of which Ethan Allen is a member. As of 2015, this organization has raised more than $52 million to fund innovative medical research and quality patient care at City of Hope. Each year, City of Hope’s International Home Furnishings Industry begins a new fundraising campaign. Its first big event this year is the Spirit of Life Award Dinner. Richard Feng, our retail partner in China, and I will be receiving Spirit of Life Awards for our leadership and philanthropy, and while it’s an incredible honor, our shared goal is to draw attention to the amazing work being accomplished at City of Hope. To ensure their great works continue, we are getting our message of support out to 7.2 million households via our direct mail magazines. We ask our clients to consider making a donation to City of Hope through participating Ethan Allen Design Centers and cityofhope.org/ethanallen. In January of this year, Ethan Allen launched a specialty online store at shopmyexchange.com, a members-only website dedicated to ensuring that active-duty and retired service members and their families have access to U.S. goods and services, wherever they serve or live. Those looking for furniture and decor will find Ethan Allen listed under “Home & Appliances” on The Exchange website. The Ethan Allen link will lead shoppers to a newly dedicated Ethan Allen specialty website where they will find everything they need to beautifully furnish their homes. Products will be delivered through Ethan Allen’s North American premier in-home delivery logistics network. What is the importance behind having metrics to track the impact of your corporate responsibility efforts? It’s always our goal to protect the safety and health of our employees, their communities, and the planet. Ethan Allen first established its own formal Environmental Health & Safety management system in 1999, and since then, we have been continually working to reduce energy consumption and waste production, and to increase recycling and water conservation. In 2010, we partnered with the American Home Furnishings Alliance (AHFA) to become registered as an Enhancing Furniture’s Environmental Culture (EFEC) company. EFEC is the first tier of AHFA’s program; it is an environmental management system that requires companies to analyze and better understand the environmental impact of their processes, from the raw materials to the finished products. Today, all of our domestic facilities are EFEC registered. That means for every Ethan Allen manufacturing, distribution, and service facility in the U.S., we have documented baseline greenhouse gas emissions, baseline water and electricity usage, and baseline waste production, and we have used that information to set annual goals for improvement. We’re especially proud that all the scrap wood and sawdust from our Vermont manufacturing facilities is now used to fuel the boilers that heat those facilities, reducing the carbon footprints of both. Steam from the boilers at our Vermont sawmill also heats our wood-drying kilns, and the excess steam is used to generate electricity. At our Vermont, New Jersey, and North Carolina plants, we recycle nearly everything and, since 2010, we’ve reduced the amount of our domestic manufacturing landfill waste by more than 50 percent. 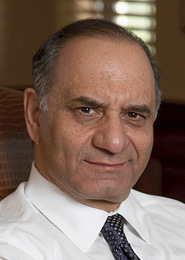 Click Here to Download a PDF of An Interview with Farooq Kathwari, Chairman, President, and Chief Executive Officer, Ethan Allen Interiors Inc.